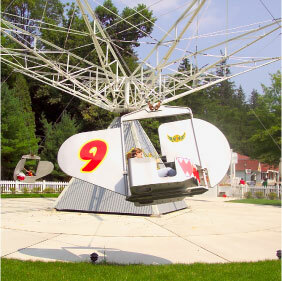 Live stage show performances daily during the Summer Season! While Idlewild & SoakZone is home to the best family-friendly attractions for kids near Pittsburgh, Pennsylvania, our in-park family shows can't be missed. 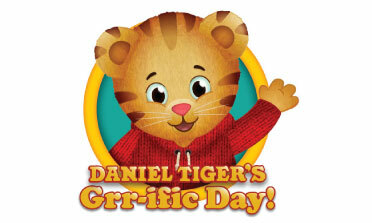 Be sure to bring the little ones to sing and dance along at Daniel Tiger's Grr-ific Day! returning for HALLOWBOO in addition to a Halloween theme stage show! Please check back for 2019 Summer Season Entertainment listing. Will return for HALLOWBOO: It’s a beautiful day in Daniel Tiger’s neighborhood and you’re invited to be a part of the fun! Join Daniel Tiger and Katerina Kittycat for a show full of make believe and good feelings as we learn how to share, try new things, and use our imaginations. Also, after every show, enjoy your chance to meet Daniel and Katerina for pictures and hugs!